If you’re planning to purchase the exciting new 2017 Jaguar F-PACE, you might be wondering how useful it is. This performance car is designed not just for the track, but as the perfect accompaniment to your lifestyle. 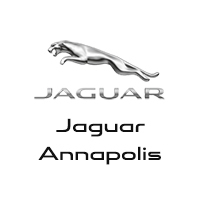 Learn about its utility today from Jaguar Annapolis. The 2017 Jaguar F-PACE isn’t just a thrilling sports car that can take you wherever you want to go around Baltimore with speed and spirit. It’s also the perfect car to add excitement to your everyday life. The F-PACE is designed to provide the sPACE you need for your passengers and gear no matter where you go. Inside, the Taurus leather seats mean smooth and comfortable seating for all, with plenty of sPACE for up to three adults to sit in the back. The 40/20/40 split-folding seat turns your already spacious 33.5 cubic feet of cargo sPACE to an impressive 67.5 cubic feet of cargo sPACE in the trunk! It’s easy to load up your gear and drive off for an exciting weekend when you have a sports car with this much room. For fans of the outdoors around Arnold, the load sPACE floor can handle your damp or muddy gear easily with a reversible floor. Just turn over the durable, plush carpet, and you’ll get a rubberized surface that’s easy to clean. The 2017 Jaguar F-PACE makes it easy to load your gear, even if your hands are full. With the Gesture Tailgate, all you’ll need to do to open the cargo tailgate is move your foot! Just put your foot under one of your Jaguar F-PACE rear flanks, and the tailgate will sense your proximity and automatically open or close. You won’t need to shift loads or put anything down to open it, or even use the remote key fob! Loading up your Jaguar F-PACE has never been easier. The 2017 Jaguar F-PACE offers the Activity Key, a new leap in remote opening technology. The Activity Key is set onto a rubberized wristband, which is fully waterproof to accompany you on any activity in Washington DC. When you place your Activity Key wristband near the sensor on the tailgate Jaguar badge, your Jaguar will automatically lock or unlock. No need to carry around a key, just your Activity Key! The 2017 Jaguar F-PACE includes technology that keeps you aware and alert no matter where you go. The Lane Keep Assist system monitors vehicle position in your lane, and steers you back into your lane if you are drifting without using a turn signal. The Driver Condition Monitor analyzes your driving input for alertness. If it senses that you’re getting drowsy or tired, it sends you feedback alerting you that it’s time to take a break. Park Assist uses sensors to measure parking sPACEs, helping you steer easily even into a tight sPACE without dings or dents. Autonomous emergency braking measures the speed of the car ahead of you and hits the brakes if a collision is imminent, while the surround camera system gives you vision all around your car for difficult maneuvers.